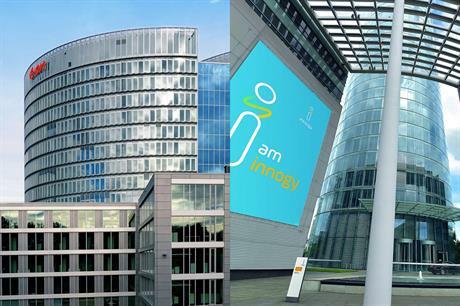 GERMANY: Utility-developer E.on has formally launched its voluntary public takeover offer of RWE subsidiary Innogy, following a deal announced last month. E.on said it could launch the takeover, as it had received approval for the offer document by the German federal financial supervisory authority. Following the 12 March deal, E.on will acquire RWE’s 76.8% stake in Innogy — its renewables, grid and retail unit — for €38.40/share. E.on CEO Johannes Teyssen, said: "Following the acquisition of Innogy, E.on will be the first formerly integrated utility to focus entirely on meeting the demands of its customers across Europe. "With the first unavoidable job cuts, we are acutely conscious of our responsibility towards employees of both companies. "We will treat each employee equally fairly and of course we will handle this period of change socially responsibly and in close alignment with our long established social partners in time-honored fashion," Teyssen added. Some reports believe as many as 5,000 jobs could be cut as a result of the deal. In the complex asset swap, RWE will acquire a 16.67% "effective participation" in E.on. E.on will take on Innogy’s grid and retail business, while RWE will take on Innogy’s and E.on’s renewable assets.